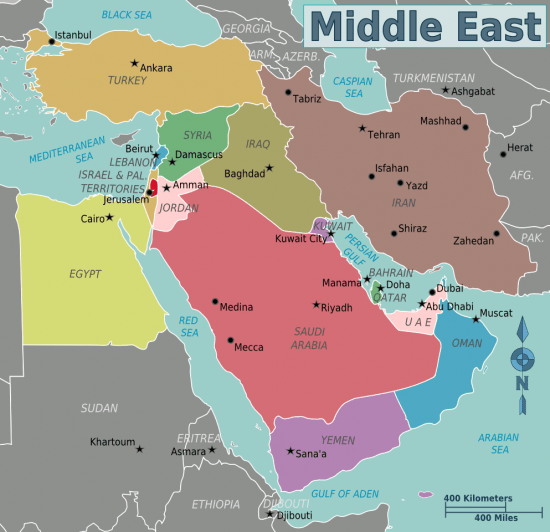 A newly updated survey by the Northwestern University in Qatar reveals an expansive look at attitudes and behaviors toward the media across the Middle East. 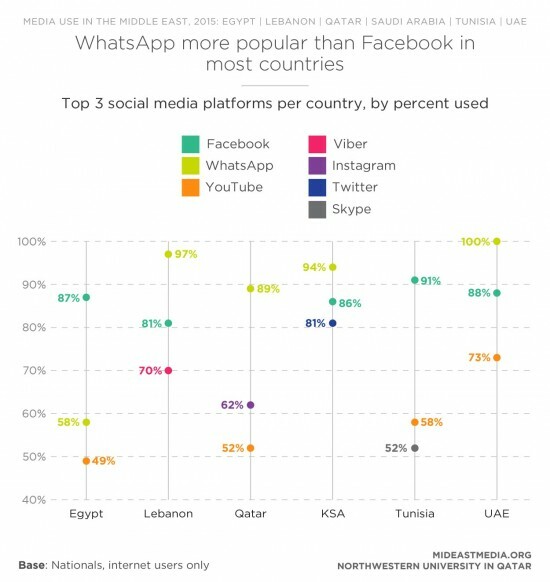 The survey, “Media Use in the Middle East,” documents trends in Egypt, Lebanon, Qatar, Saudi Arabia, Tunisia and the UAE, and is a follow-up to the first region-wide survey that was conducted in 2013. Given the region’s social and political context over the past two years — as well as changes in media and its use during the time span — the survey sheds light on how people’s interactions with the media may be informed by that history. Robb Barton Wood, director of strategic partnerships at the university and one of the researchers on the survey, told PBS MediaShift that the results suggest a move away from a “pan-Arab” perception of the media, in other words, content that looks at the region as a whole and promotes a more regional identity — and a shift toward a more local or national relationship with the media. In numbers, the percentage of respondents who view their national news media as credible increased from 39 to 44 percent since the last survey. The percentage of respondents who said their national media can operate independently increased as well, from 35 to 42 percent. But the view that the quality of reporting across the region had improved declined from 56 to 50 percent, which suggests that the opposite had happened — that the quality of reporting had declined. The latest survey also shows higher use of regional languages as opposed to English. More than nine in ten respondents follow all media in Arabic. People are also less likely to access English content on the Internet than they are Arabic content, according to the survey. This could be due toward the greater availability of Arabic content on the Internet, but the political and social context could also be a stimulus, Wood said. But the report also indicates that what people say they believe in versus what they are comfortable doing are distinct — that is, there is a disjoint between what people say they believe in and how they actually act or carry out their beliefs. This is not unique to the region or in media, but it especially stands out in the context of freedom of speech in the region, Wood said. For example, young people (18 to 24-year-olds) were much more likely than their older counterparts to embrace freedom of speech online, including government criticism and open expression of their beliefs and politics. Now 49 percent (compared to 34 percent in 2013) are more likely to support the idea that you can criticize the government online, and 51 percent (compared to 34 percent in 2013) said frank opinions on politics and beliefs online was safe. Yet the percentage of all people who said freedom of expression online is OK actually declined since 2013, from 59 to 52 percent. And when compared to a host of other countries, the percent of people in Middle Eastern countries who agreed with the statement, “I feel comfortable saying what I think about politics” was generally low. 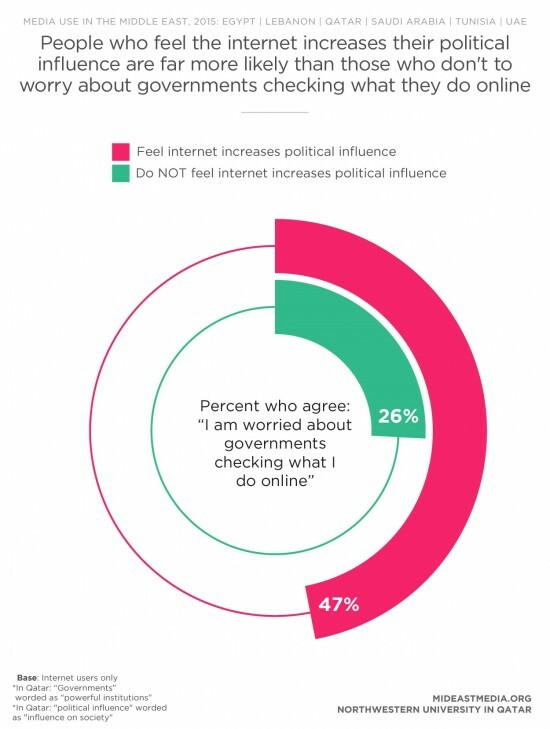 A plurality of nationals worry about governments checking their online activity. Expatriates from western countries and Asia worry more about online government surveillance than nationals. A belief that the internet can increase one’s political influence fell in Egypt, Qatar, and the UAE. Egyptians are far less confident than others that the news media are fair and accurate and are more concerned about the government controlling (and perhaps manipulating) news content in their country. Perceptions of media credibility and independence have declined in Saudi Arabia. Those in the UAE have extremely positive perceptions of their news media and also feel they receive favorable coverage in the international press. Respondents’ use of legacy networks falls and direct messaging establishes dominance. Respondents cite social media as an important source of news but express reservations about the quality of the information. More educated nationals support online freedom of speech, but they are less comfortable expressing political opinions. Though young respondents consume less news than their older counterparts, they are more willing to pay for all manner of news content. Pluralities of Saudis and Lebanese feel international news coverage is biased against their countries. There is an increase in the belief that one’s country is headed in the right direction in most countries. Comedy has become the most popular content genre online and on TV since 2013, surpassing news. Those who have traveled outside of the Middle East at least once in the last three years are considerably more likely to consume international news than those who did not. The full findings of the report are available online. Correction: Paragraphs three, four, seven and 10 have been edited for clarity. This piece was originally published on April 21, 2015, on PBS MediaShift.